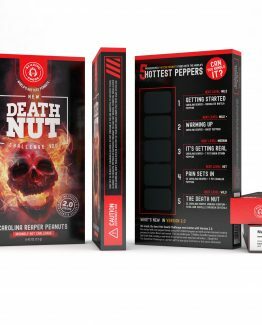 The ultimate gift set for any spicy food or hot sauce lover! Your order arrives spectacularly wrapped in a luxurious gift box containing the best hot and spicy products of the season. Each item is thoughtfully presented using premium materials and packaging to let your loved one know how much you truly appreciate them. 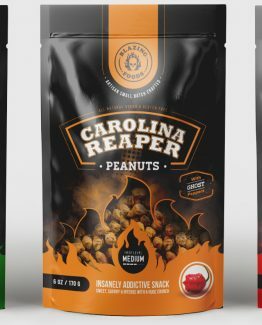 The Carolina Reaper Peanuts earned a coveted “Amazon’s Choice” award for peanuts, Best New Product and voted #1 in Consumer Ready Salty Snacks at the 2019 Fiery Food Challenge in Irving Texas. 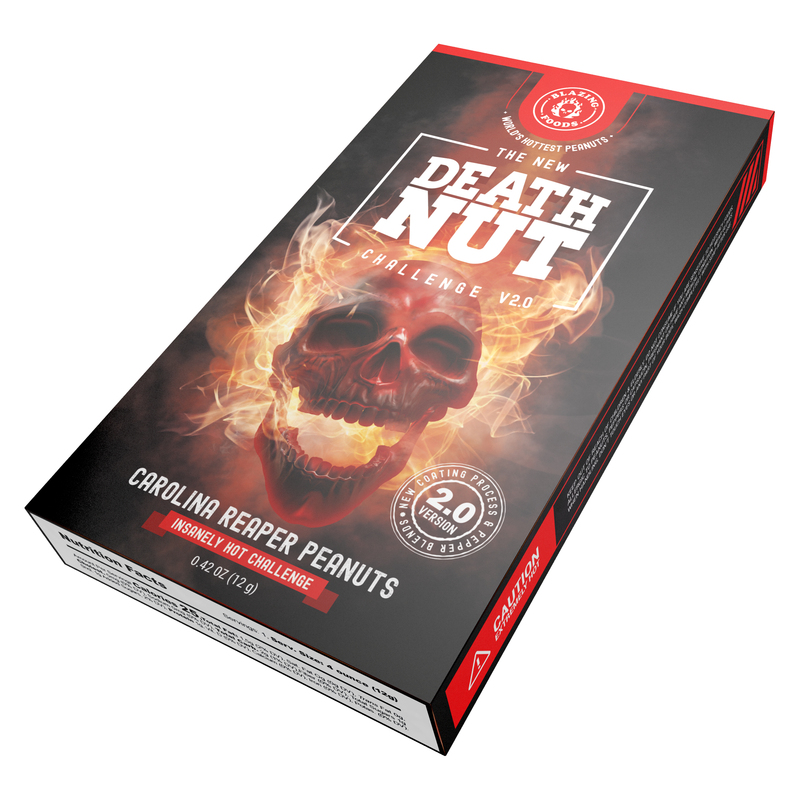 The set includes one Death Nut Challenge Version 2.0, one 6 ounce bag of our insanely delicious Jumbo XL Carolina Reaper Peanuts and a limited edition “I Survived The Death Nut Challenge” T-Shirt. 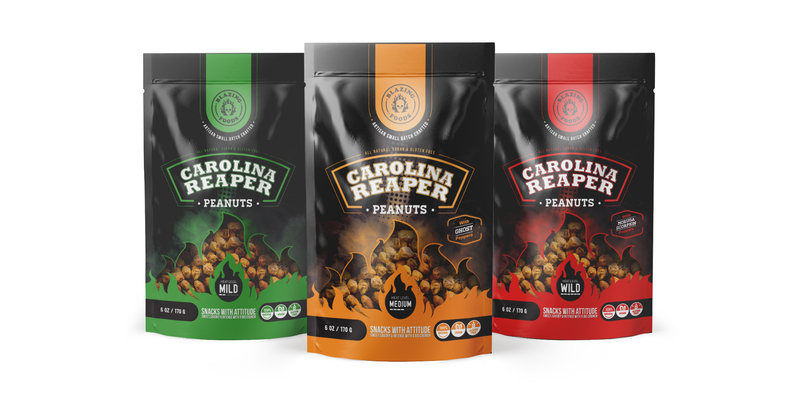 Simply choose your preferred heat level for the Carolina Reaper Peanuts and a T-Shirt size. 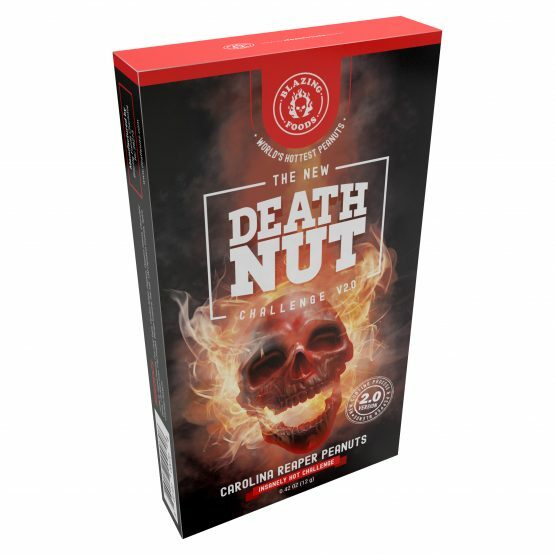 If you want more than 1 box of the Death Nut Challenge in your order just add the gift set to your cart then click here to add more challenge packs. James W: hot hot hot lire ici! Too much fun though we had a group of 5 take it down… we laughed, we cried and celebrated victory. 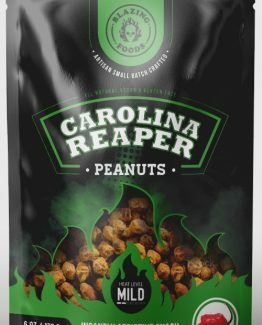 Gotta say the bagged peanuts are smokin hot and delicious. 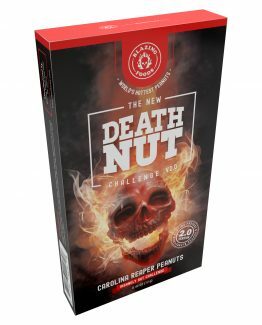 Tim A: way better than the original death nut challenge! The final nut is brutal! Bobby W: holy s^%$ that stuff is insane! loved it did it with a group of friends! watching them sweat it out was awesome! 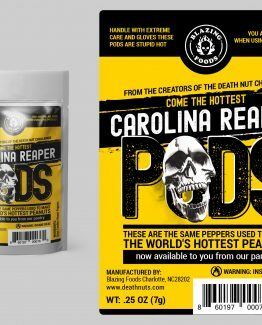 Robert G: ok so my expectations were pretty high since I grow superhots and eat reapers a lot! Saw some videos on youtube for the original version and decided to give them a try and found the new version. I was blown away by the packaging of this kit it is great in every regard. 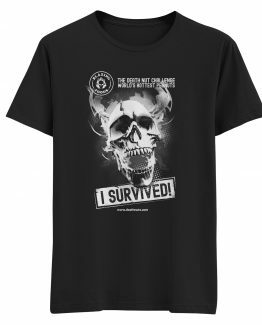 In fact I am re-ordering 2 more for my friends this is a killer gift set. 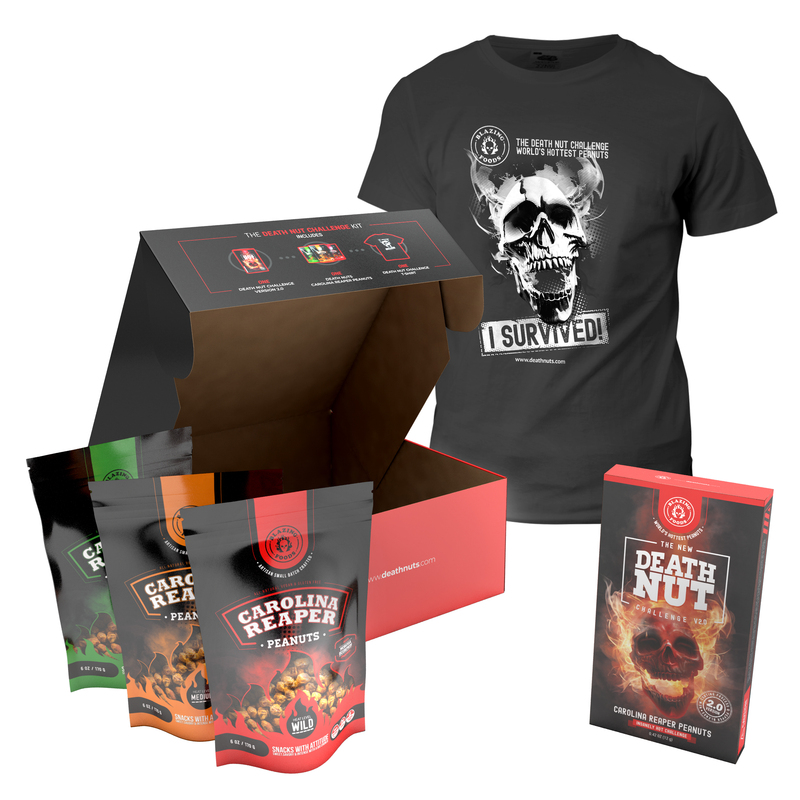 The T-Short is very high quality, the box is amazing, the peanuts are freakin delicious and that challenge was insanely hot even for my tastes. Great job guys!! OK so much better than expected as a whole. Very well put together and a good variety of spicy products for my best friend. 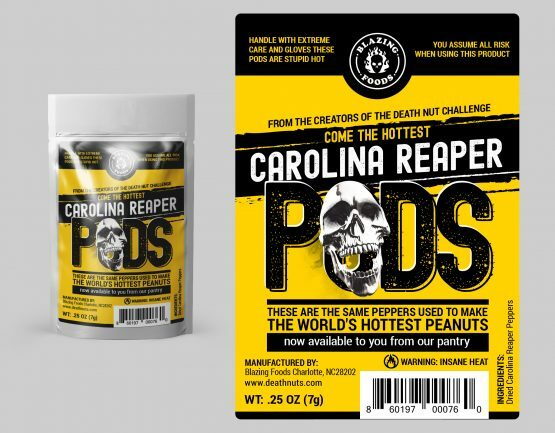 My wife and I ordered for our step dad for Christmas he loves spicy stuff. Box came in fast. Everything is packaged very well.Everything looks great. Can’t wait to see him take the challenge. 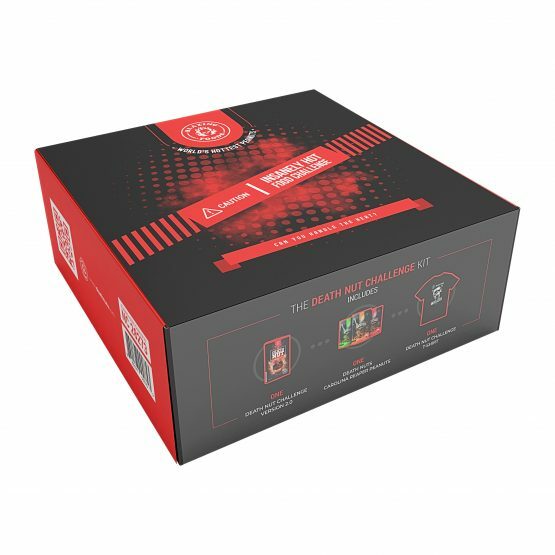 loving this kit – great gift!